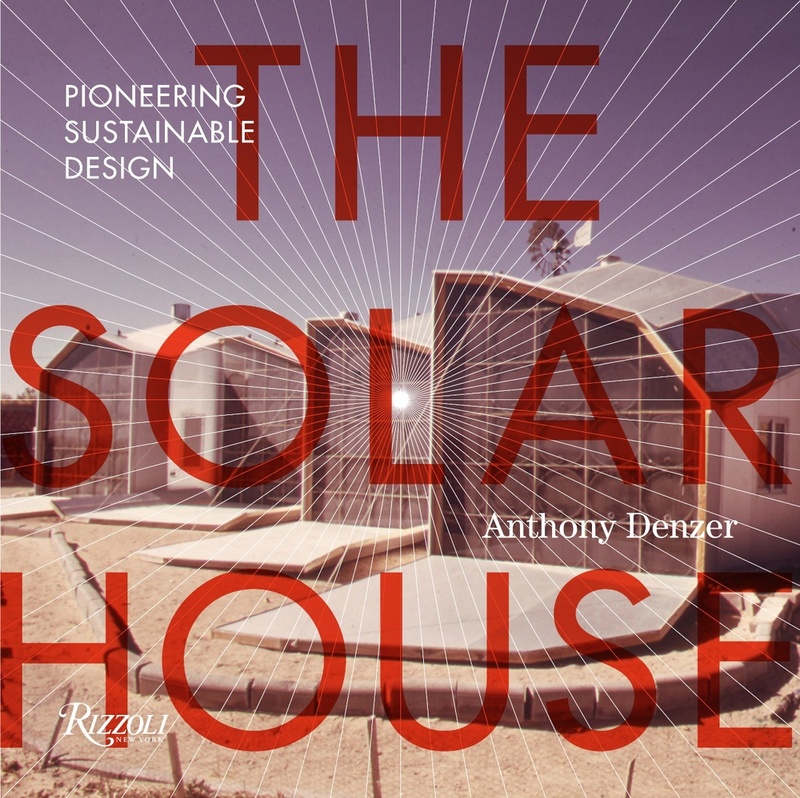 In The Solar House I call Fred Keck "The First Solar Architect." Two full chapters of the book are devoted to his work. I recently acquired a period photo of Fred Keck's second house for Howard Sloan, in the "Solar Park" neighborhood (Glenview, Illinois, 1942). It provides an excellent view of Keck's method for composing the south wall of his solar houses: large fixed panes of glass with exterior shading and ventilating louvers below. In the book I discuss the history of the ventilating louver, as well as placing Keck's treatment of 'the window' in context of the ideas of other modern architects like Le Corbusier. 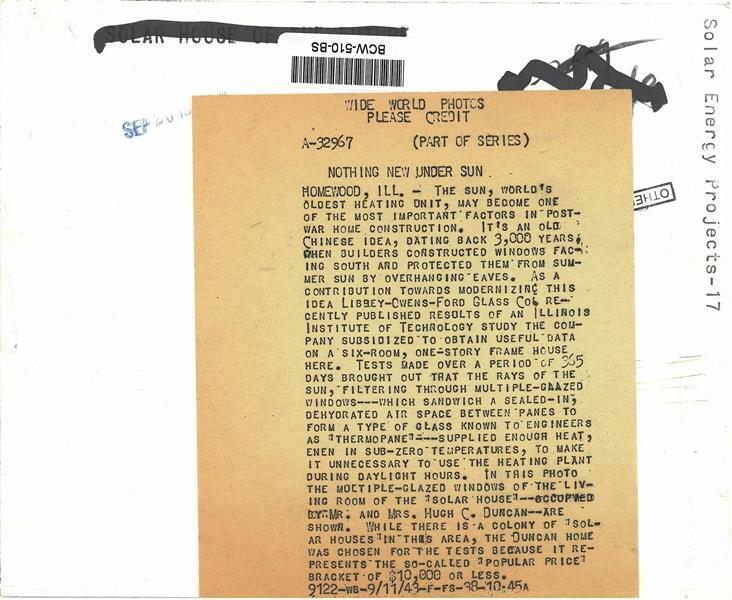 This photo was rarely published in articles of the period about Solar Park or Sloan's houses. (Here is one instance.) The photo comes from a newspaper archive liquidating its old stock. I've also included the news release attached to the back, which misidentifies the photo as being Keck's Duncan house. The Duncan house was also a fascinating and seminal example, but this is clearly Sloan II.